Take a trip to your local nursery and head to the native plant section. Do you come across any cultivars of native plants (“nativars”) among their offerings? Do you wonder if these selections offer the same level of ecological benefits to native wildlife as their straight species counterparts? 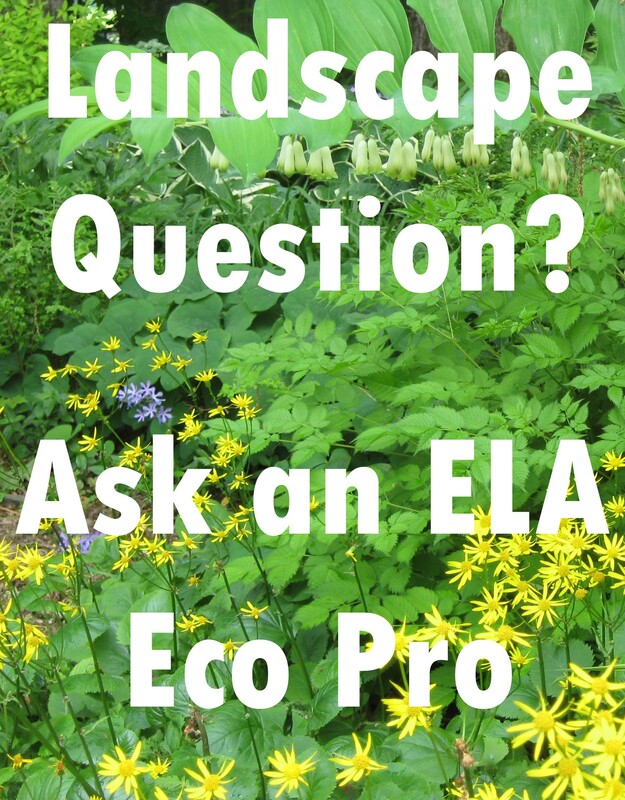 As a landscaper, how do you approach recommending these to your clients in a garden design? As a nursery owner, is it ecologically responsible to release these cultivars side-by-side of native plants? These are some of the questions that guided my research into evaluating insect preferences and forage quality of native cultivars versus their straight species analogues. 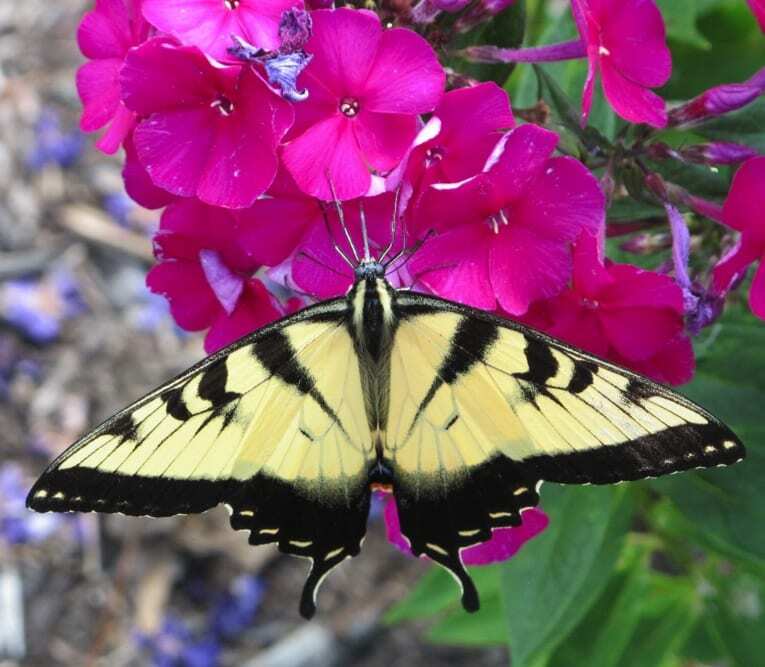 Female swallowtail butterfly (dark morph) on ‘Jeana.’ Photo by Keith Nevison. The rise of nativars in the marketplace is being driven by overall sales growth and interest in using native plants for ecological landscapes. Nursery owners who want to distinguish themselves from their competitors, often develop new plants that they feel are superior to products currently found in the marketplace. Enter nativars, which are selections of native plants that stand out for their unique qualities such as: bigger blooms, bolder colors and longer-flowering period. While each year brings new cultivars to garden centers, it is important to recognize that a cultivated variety can come into existence either through plan or by chance, through focused breeding techniques, mutagenesis, selection from the wild, or chance discovery in the nursery. Snowberry clearwing moth on ‘Ditomdre.’ Photo by Keith Nevison. 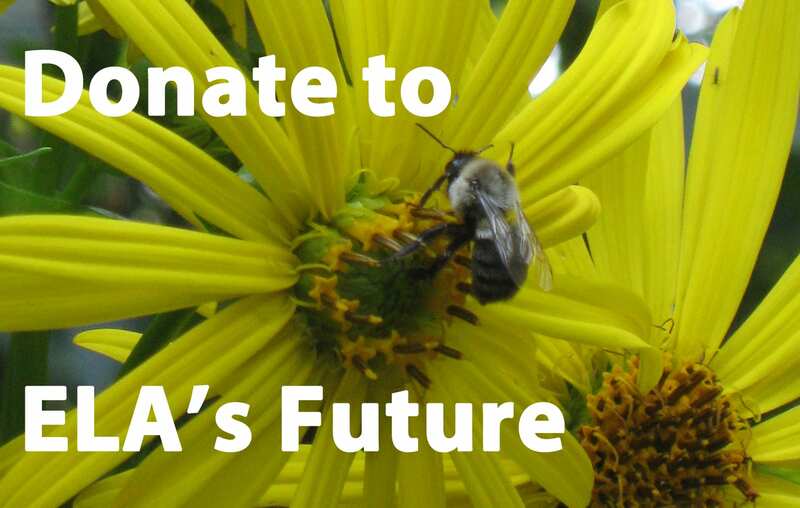 We know that native pollinators evolved in tandem with their forage and host plants, but in recent times these relationships have been jeopardized by habitat destruction, insecticide use and a changing climate. Therefore, it is important to test what occurs when we alter a flower shape through breeding and how the alteration impacts those invertebrates that have evolved to obtain nectar and pollen from wild plants. It is my view, that in light of these anthropogenic stresses on native wildlife, we should endeavor to create spaces of refuge and abundant resources in our gardens, where bumblebees can dance, butterflies can play, and birds can sing. 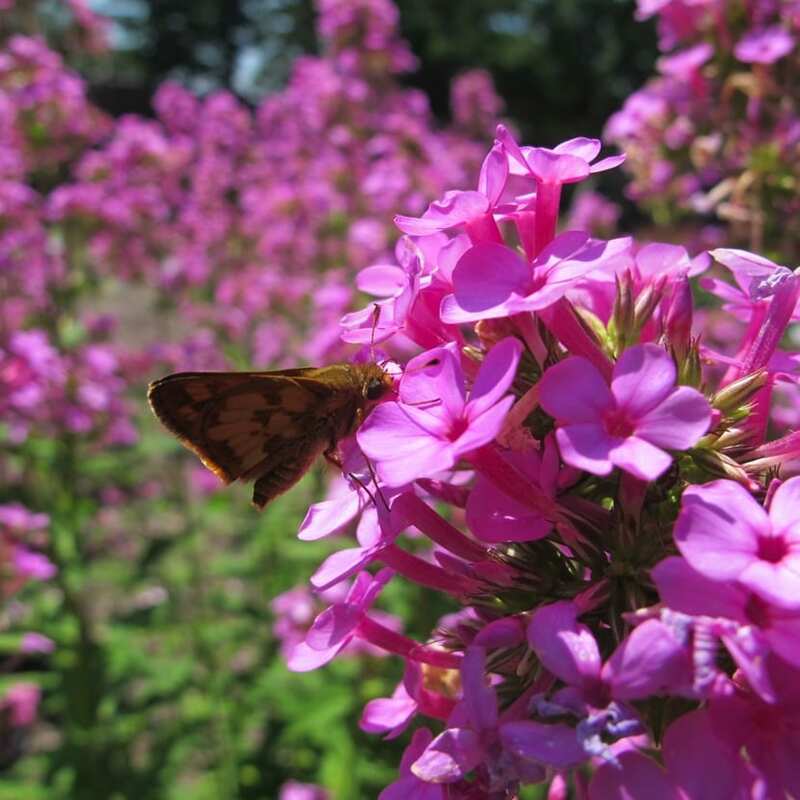 To evaluate insect preference and nectar quality in native cultivars, I developed and conducted an experiment in 2015 in which I measured sucrose levels and recorded visitations of all invertebrates in a Phlox trial at the Mt. Cuba Center (MCC) in Hockessin, Delaware. MCC is a public garden with a mission to inspire an appreciation for the beauty and value of native plants and a commitment to protect the habitats that sustain them. Plant trials at MCC began in 2002, and in 2012 a formal trial garden was unveiled, affirming MCC’s commitment to plant research focused on evaluating the horticultural performance of native plants and their cultivars for gardeners in the mid-Atlantic region. Formally unveiled in 2012, Mt. Cuba Center Trial Garden includes a shade structure that allows for trialing of forest understory species. 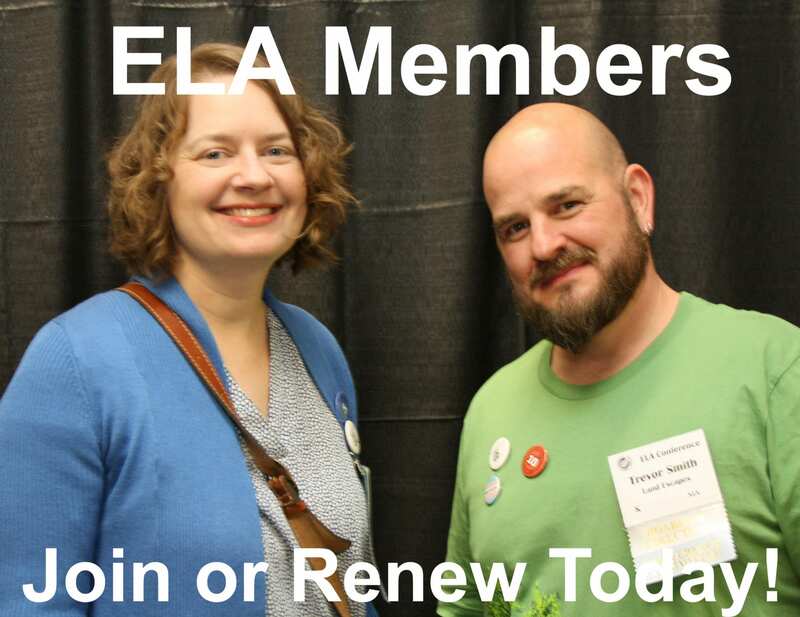 Photo courtesy of Longwood Graduate Program. 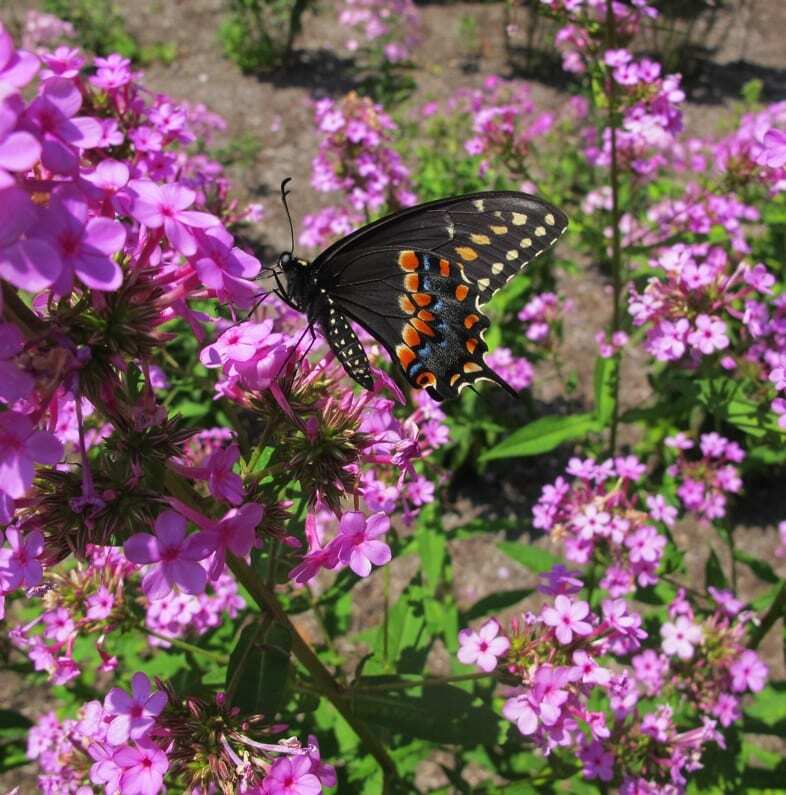 Silver-spotted skipper enjoys Phlox ‘Jeana.’ Photo by Keith Nevison. 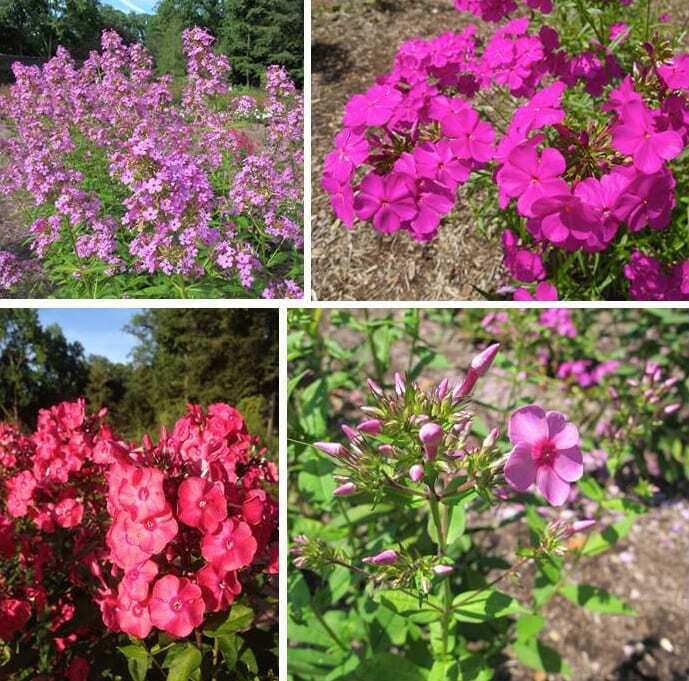 From May through August 2015, I sampled six straight species of Phlox and over 10 cultivars. A range of pollinators were observed in the Phlox trial, with butterflies, moths and skippers (Order: Lepidoptera) being most abundant. Several bee species were noted in the trial; however, they were not seen pollinating flowers, but rather robbing nectar by inserting their proboscises into the bottom of the corolla, thereby bypassing flower pollen located at the entrance. Eastern carpenter bee preparing to rob Phlox paniculata ‘Robert Poore” (left) and European honeybee robbing nectar from Phlox paniculata ‘Delta Snow.’ Photos by Keith Nevison. Sryphid fly pollinates Phlox paniculata ‘Purple Rain.’ Photo by Keith Nevison. 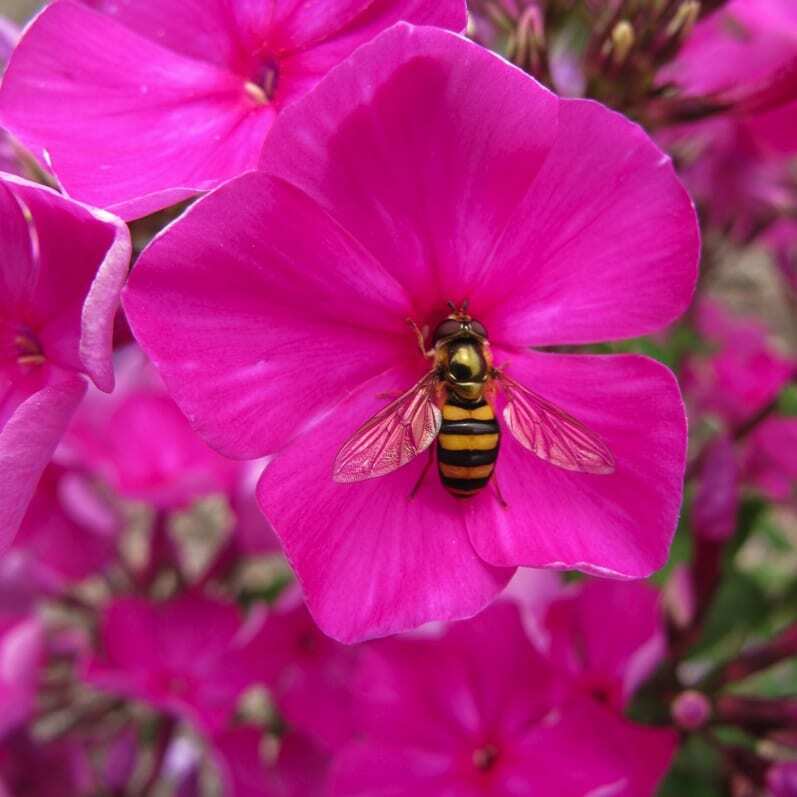 Another common pollinator in Phlox is the syrphid or hover fly. These flies were the first pollinators observed in spring and were often the first observed each morning of the trial. 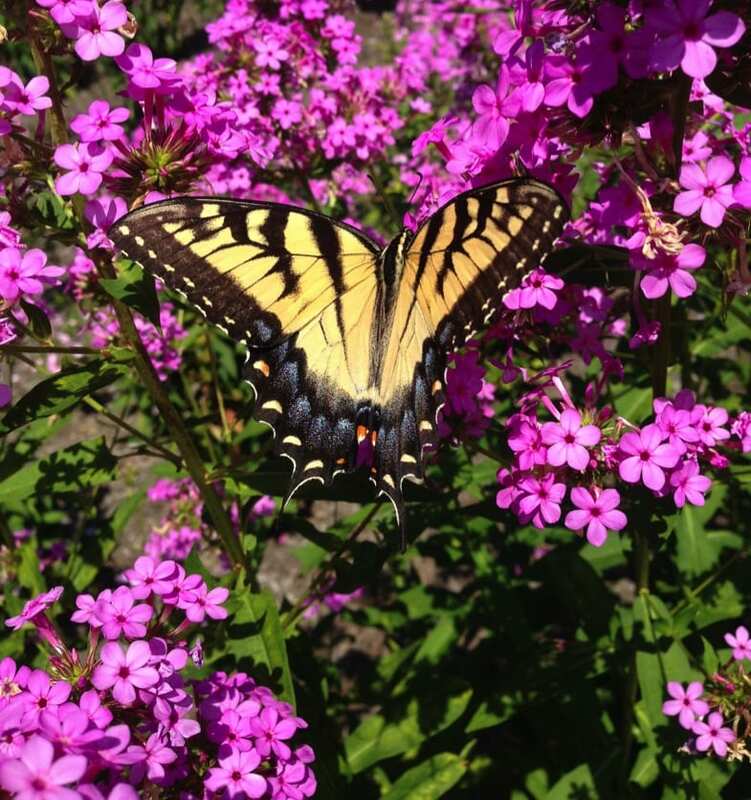 Female monarch butterfly nectaring on Phlox paniculata ‘Lavelle’ – the second most attractive phlox in MCC’s 2015 trial. 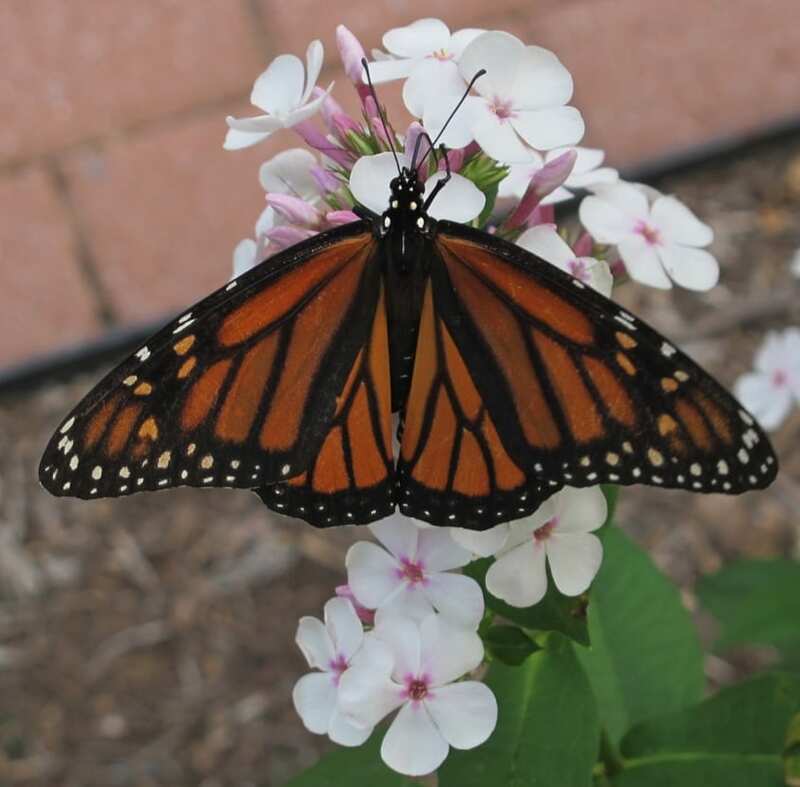 Later into the season, monarch butterflies showed up in the trial, demonstrating the potential importance of Phlox as a plant resource for supporting health and recovery of monarch populations. A sign at the entrance to MCC Trial Garden describes the research being done to test for ecological value of cultivars. Photo by Keith Nevison. Owen Cass surveys Mondarda at MCC in 2015. Photo courtesy of ecobeneficial.org. The Phlox trial at MCC is not the only one investigating ecological value for cultivars vs. straight species. My colleague at the University of Delaware, Owen Cass, surveyed Coreopsis in 2014 and Monarda in 2015. 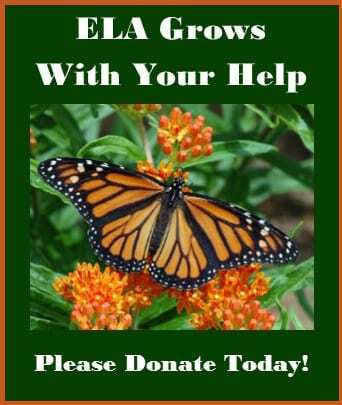 Our mutual data suggest that a few cultivars have enhanced nectar value and attraction for native pollinators. 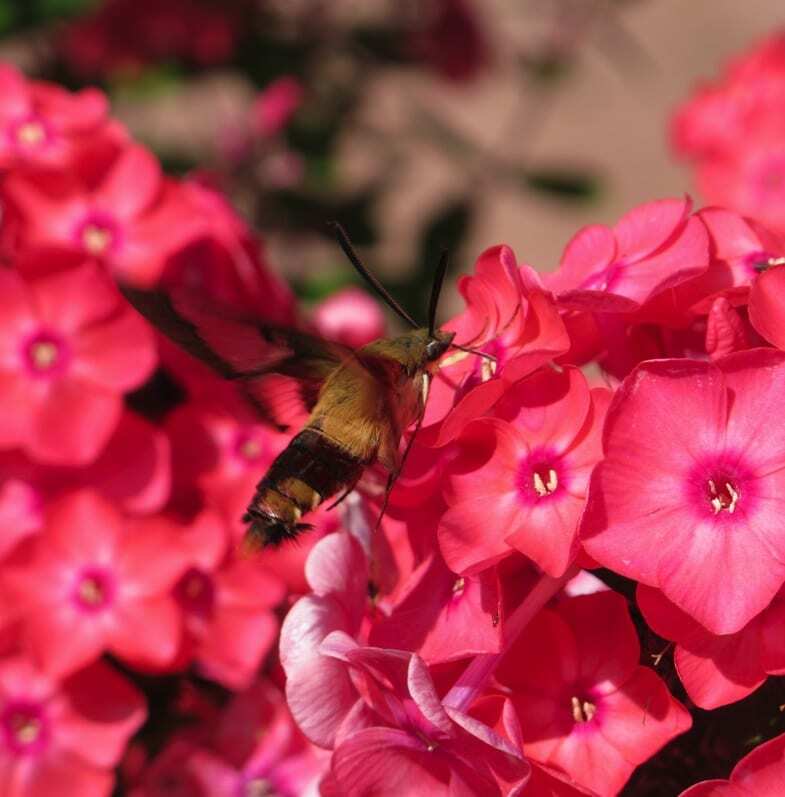 Phlox ‘Jeana’ and ‘Lavelle’ were far more attractive to pollinators than P. paniculata straight species, and both cultivars had very good nectar volume and sucrose content. However, a majority of cultivars have reduced value in relation to their straight species counterparts. Should we therefore, encourage mass planting of particular cultivars that have been shown to provide strong habitat value for native wildlife? Probably not because more experimentation in different parts of the country over a longer timeframe may yield different results. However, landscapers contracted to design and plant home gardens, may want to consider incorporating nativars into their palette in order to observe how these plants can provide beauty and ecological resources for wildlife throughout the flowering season. At the very least, these cultivars may serve as a “gateway plant” into the world of ecological landscaping by mixing function with aesthetics, thereby appealing to gardeners who wish to begin fostering beneficial insects in their home landscapes while maintaining strong ornamental standards. The author harvests phlox flowers to measure sucrose levels. Photo by Phoebe Connell. 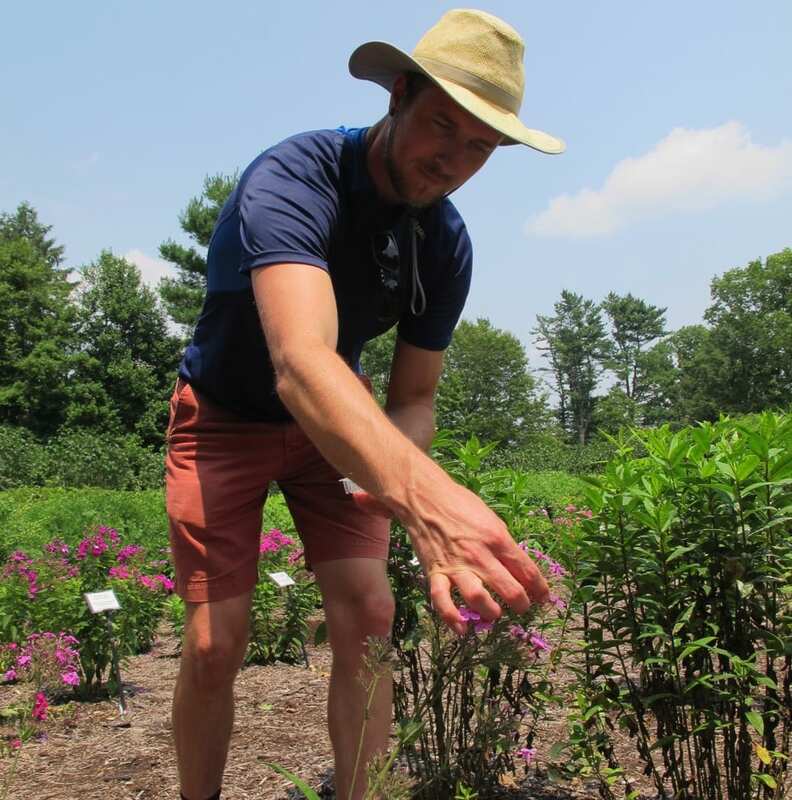 Keith Nevison conducted his thesis research as part of the requirements for the Longwood Graduate Program in Public Horticulture, a Master of Science partnership between Longwood Gardens and the University of Delaware. 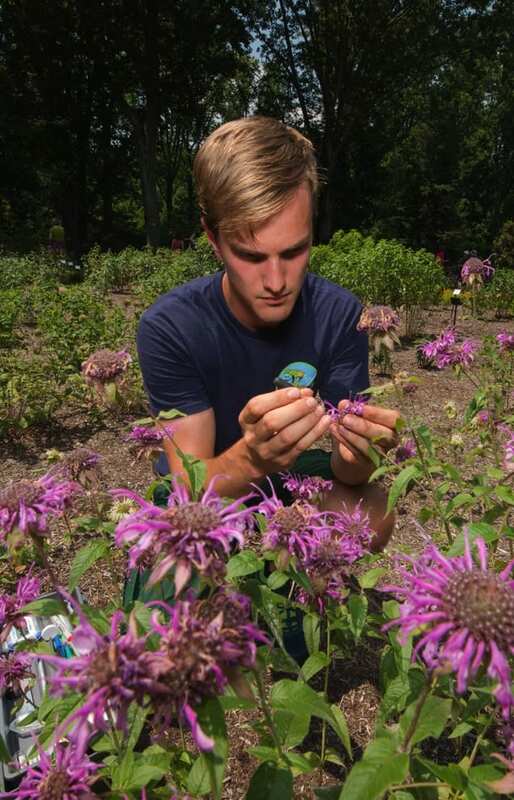 To find out more about this program visit: http://longwoodgardens.org/education/college-and-university-programs/longwood-graduate-program-at-the-university-of-delaware.